The RD Ranch is located in Northern California in rural Amador County. The ranch was originally homesteaded by the Walker family in 1876. We purchased our 60-acre ranch in 1988 from descendants of the original owners. We split our website into two sites. RDRanchStore.com will handle the non-animal side of our business and contain the shopping cart. The RDRanch.net will continue to provide the ranch portion of our business. It contains all of the information about our Dexter cows, Nubian and Nigerian Dwarf goats, Anatolian Livestock Guardian Dogs and all the rest. The RD Ranch Gift Shop is a small family operated business. The items we carry are quality items that we use in our homes, barns, or while hunting or fishing. We are adding products all the time so check back with us from time to time. We appreciate your business. Please visit our Shopping Cart for our products (the non-breathing kind). Our site is secure and your privacy is very important to us. We will not share your information with anyone. The RD Ranch Barn Sale is the animal side of our operation. We raise Nubian and Nigerian Dwarf Goats, Rat Terriers and Anatolian Livestock Guardian dogs and Dexter Cattle. We are not a pet store or a puppy mill operation. 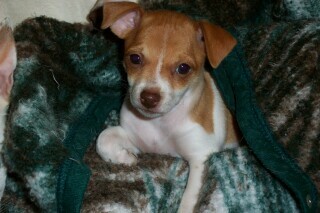 All of our animals are our pets and are very well taken care of. The goats are bred to birth in mid-February - March. Occasionally we have a Guernsey/Dexter milk cow for sale. These go quickly so contact us to get on the list for our next available. We only have two Guernsey cows. 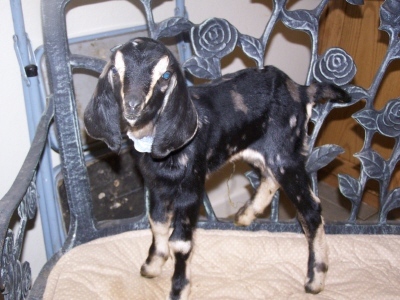 We raise Nubians and Nigerian Dwarf goats. Our Nubians and Nigerian Dwarfs are registered with the American Dairy Goat Association under the herd name RD-Ranch. Our policy is to only keep the best for breeding stock. We breed only those does that can easily birth. Most of our kids are bottle fed. This ensures friendlier goats. All kids are vaccinated, dewormed, dehorned and males are neutered before being released to their new owners. Unneutered males must be ordered in advance. Our herd is closed and we are CAE, CL and Johnnes free. Kid goats are due in early February, 2019. We expect Nubian, Nigerian and Nubian/Nigerian cross kids. Our Nubian/Nigerian cross kids are first generation only. They can be registered with The Miniature Goat Registry. Our goats, chickens, turkeys, guineas, ducks, cows, llamas, and old horse are protected by our Anatolian Livestock Guardian dogs. 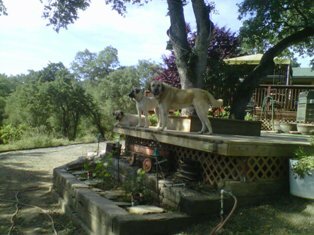 Mowgi, Callie, Cricket and Bootsie are on duty protecting against raccoons, predator birds, coyotes, bobcat, skunk and Mountain Lion. Our neighbors have lost animals but we have not. Our chickens are totally free range. We do not pen up our animals at night. We have our 24-hour security crew to take care of them. April, 2019 we currently have nine puppies available. Three boys, one girl from Sidney (dob 03/28/2019) and four girls, one boy from Brooke (dob 4/4/2019). Email us for availability. FACEBOOK: RD Ranch is now on Facebook. I created two different fan clubs - one is for the animals, the other is for the store. Click on the links below to visit the page and become a fan. Leave your comments or questions about the animals (or store products).